The original house at Spetchley was burnt down on the eve of the Battle of Worcester in 1651 which was to end the English Civil wars. Not all things are seen as bad over time as the current house that was rebuilt then is a far more handsome dsome pile. According to their website Spetchley was bought by Rowland Berkeley, a wool merchant and banker, in 1605 but prior to this it had been owned by the Sheldon and Lyttleton families. head although Scottish Presbyterians did set his house on fire during that fateful September evening. Although Robert rebuilt the living accommodation in the old stables the present beautifully proportioned brown stone house was not built until 1811. 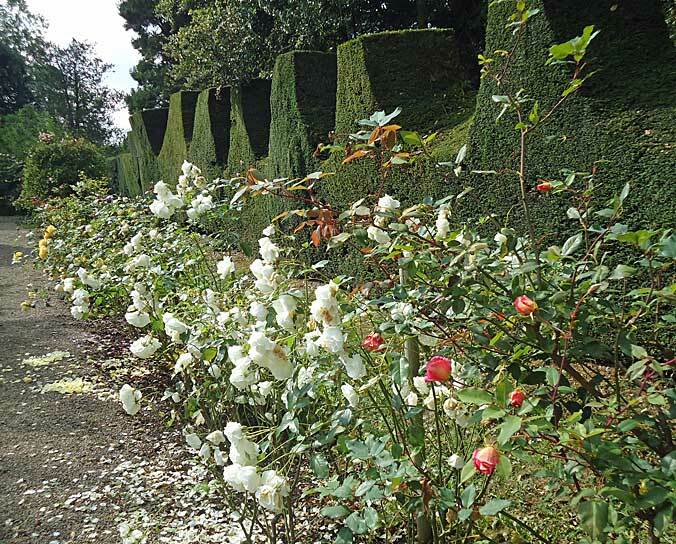 Successive members of the family have created the Gardens over time most notably Ellen Willmott, sister of Rose Berkeley, in the late 19th century. 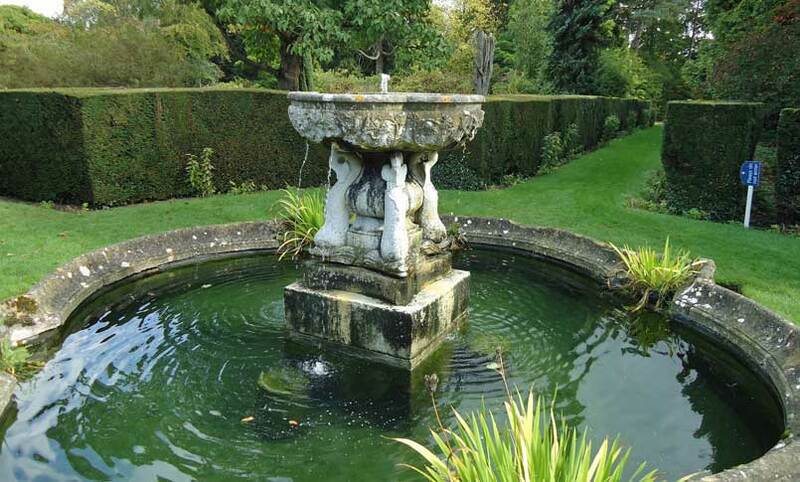 The Spetchley Revival project is now underway aimed at renovating the gardens and enhancing them for new visitors. 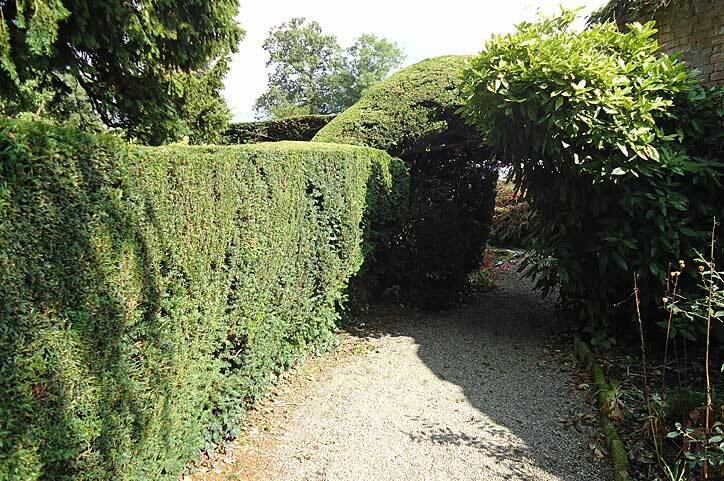 There are many yew hedges at Spetchley some in tip top condition and some showing the eccentricity of old age. 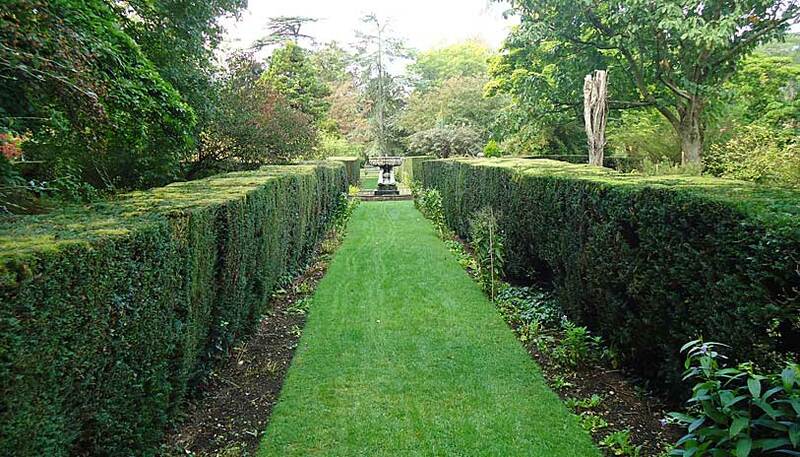 The series of yew walks towards a central fountain are probably the best examples of yew hedging being about five feet high with pillars and other interesting features at the ends. One of the fascinating things about Spetchley is that you never know what you will find along the way. 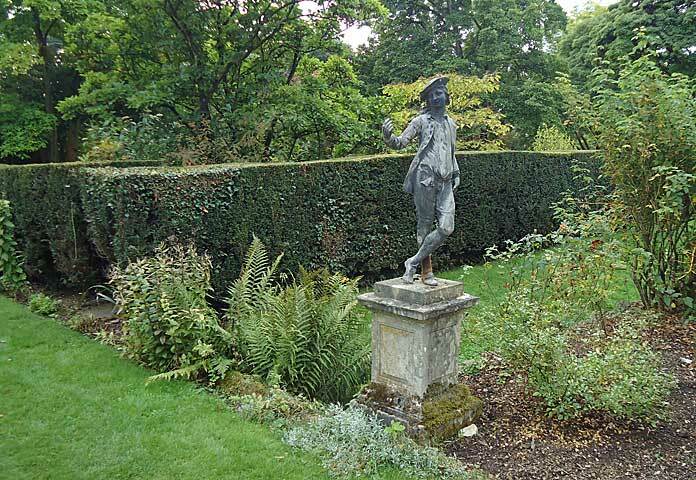 Ferns and statuary will pop up beside you as well as roses and other planting and it all give the sense of a garden which has evolved over a long period of time. Another major feature you notice at Spetchley is the wealth of mature trees, some native some not ,which form the background to the formal parts and give the feeling of walking in a forest glade and stumbling across a formal garden rather than being part of it. A good example of the eccentric yews which are showing their age are the battlemented hedges to the edges of the garden. They have a kind of Alice in Wonderland charm and indeed look more in keeping with the overall garden than if they were rigidly straight and I hope the restorers don’t aim to rip out any hedges and try to start again because this would negate some of the magic of the place. 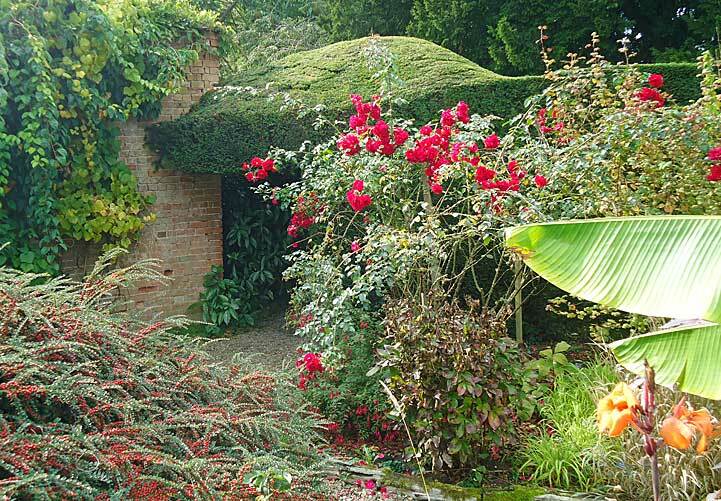 Part of the eccentricity of the garden can be seen in areas where hedges have just grown and provided natural arches rather than being specifically trained to do so over a former. They give a sense of drama in enticing the visitor to go through and see what is there. In a more formal garden you would expect a more formal “garden room” through an arch but at Spetchley you’ve no idea what to expect through the arch. It could be a grand vista or a scrubby path but that all adds to the excitement. not be the last. The composer Sir Edward Elgar often stayed at the Gardener’s Lodge as he was a friend of the family and wrote some of his major works there including the Dream of Gerontius. 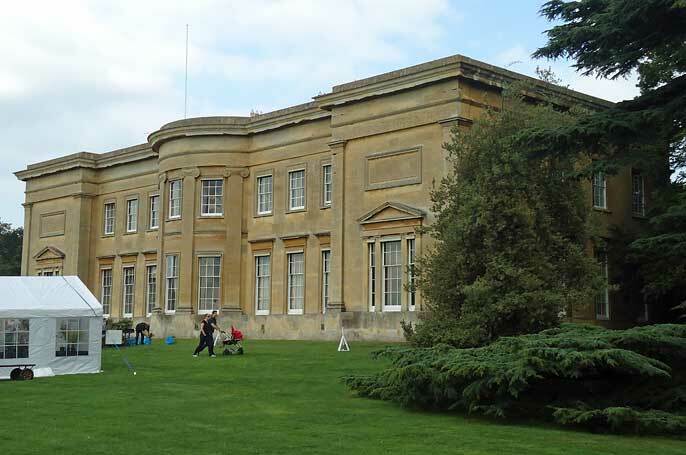 Spetchley have a full range of events throughout the year such as garden shows and historical re-enactments and you could do worse than spend a day there during one of these. I visited on my birthday in 2014 but I won’t say how old I was. I must say that I felt younger though after a visit to the magical “shabby chique” gardens of Spetchley Park.